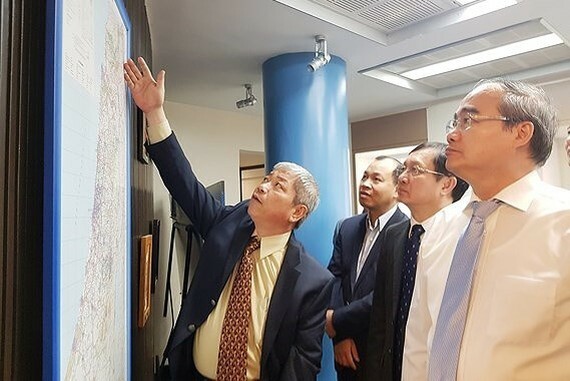 A delegation of Ho Chi Minh City high ranking officials led by Secretary of HCMC Party Committee Nguyen Thien Nhan visited Embassy of Vietnam in Israel on May 21. 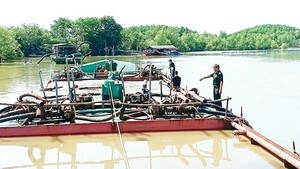 According to Vietnamese Ambassador to Israel Cao Tran Quoc Hai, the relationship between Vietnam and Israel has developed continually in all fields. The two sides have agreed to raise bilateral turnover to US$3 billion and will sign five free trade agreements between the two nations in June. Israel expects to open a direct air route connecting the two countries. The ambassador affirmed that the Embassy of Vietnam in Israel will be a diplomatic bridge between HCMC with Israel. Politburo member, Secretary of HCMC Party Committee Nguyen Thien Nhan said that the visit aims to strengthen cooperative relations between HCMC and Israel and is good chance for the city in learning experiences in fields of building smart city, education and training, creative and innovative startup, science and technology, and high-tech agriculture from Israel. 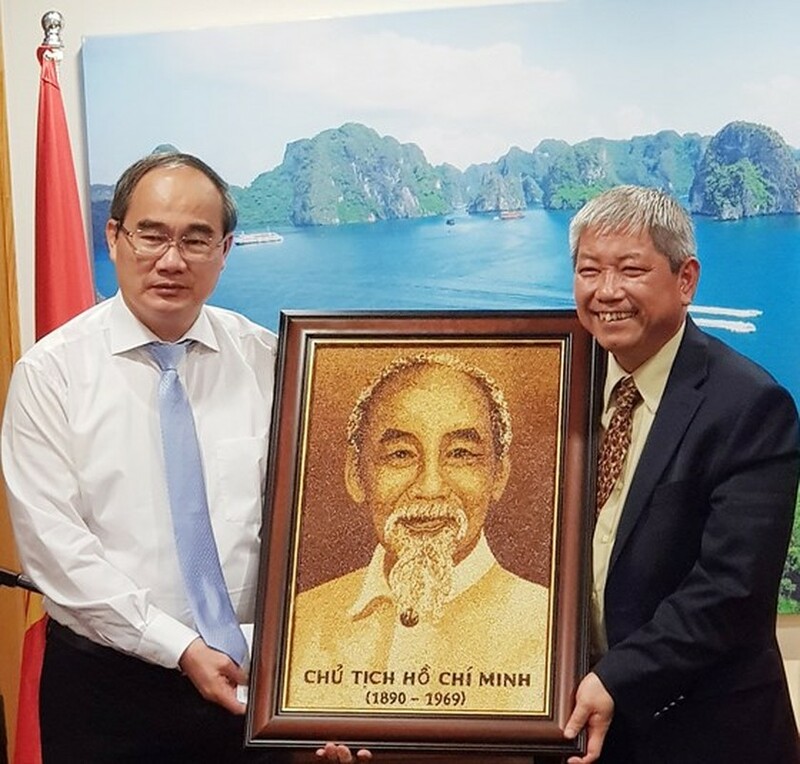 Secretary of HCMC Party Committee Nguyen Thien Nhan presents a portrait of President Ho Chi Minh made of rice to Vietnamese Ambassador to Israel Cao Tran Quoc Hai.